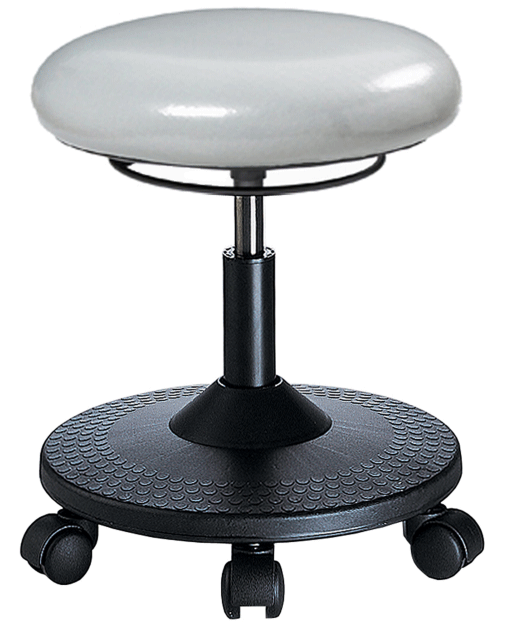 Scooter Stool provides stability, comfort and ease of movement in multiple settings such as filing rooms, stock rooms, libraries, factories, offices, and healthcare facilities. With the ability to to work close to ground level, the Scooter Stool reduces back and leg strain. scientific laboratories. 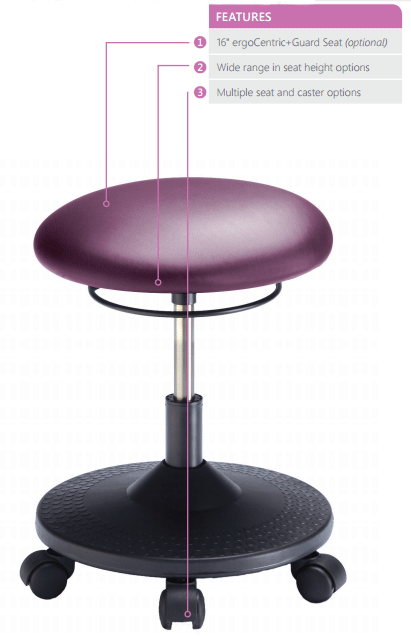 Proprietary to ergoCentric, ergoCentric+Guard is backed by a 10 year warranty and is available in a number of colour options. 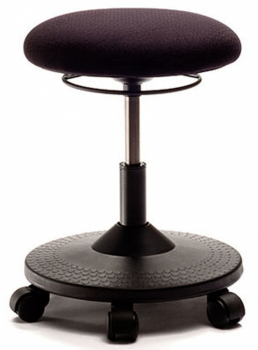 ◄ ergoCentric+Guard Sealed Seat provides a seamless moisture-proof barrier, including the underside of the seat pan, ensuring no catch points and superior cleanability.